A Star Trek collector donated her entire collection of memorabilia for the event, so these items were auctioned and raffled away to guests with all the money going directly to SafeHaven. 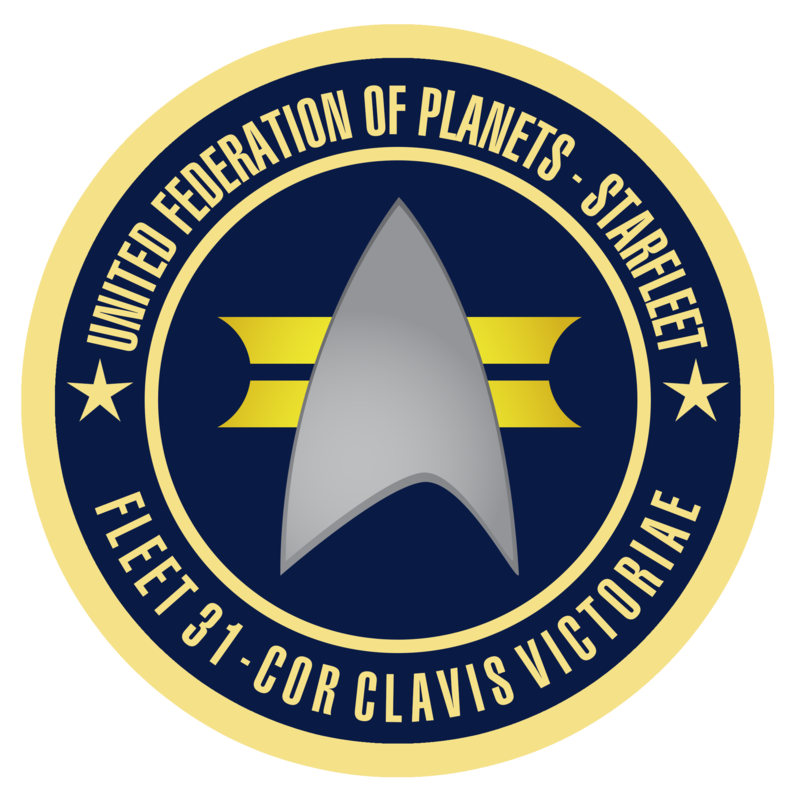 Fleet 31 acquired some cool Star Trek items and supported a great cause in the process. Additionally, each guest donated 5lbs of food to the shelter – reaching a total of over 600lbs. Overall, the event was very successful. Many thanks go out to the IKV Melota for hosting it. Qapla! But the away team’s mission was still not over. Following the charity event we set course for a local bowling alley for a very different kind of ball. We played a few games and had an absolute blast! It was a foggy night, so that only meant one thing: there’s coffee in that nebula. To close out the great night of festivities, we went to IHOP for food, friendship, and coffee.